Visit Belgrade & Serbia from Poland for only €34! Wizz Air now offers some really cheap flights if you want to visit Belgrade, capital of Serbia and you live in or close to Poland. You can now book cheap tickets to Belgrade from Warsaw or Katowice for only 146 PLN which is around €34! 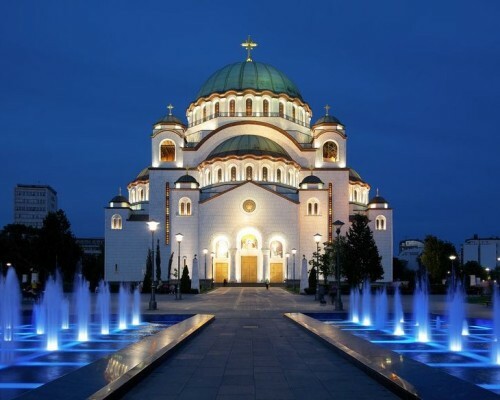 Belgrade is capital of Serbia and nice Balkan city with low prices, delicious food and amazing nightlife! To get this cheap price, you must combine 2 flights, be member of Wizz Discount Club (€29 per year, discount €10 per flight) and travel with small cabin luggage (42 x 32 x 25 cm). Warsaw: departure 6., 13., 20.10., return 9., 16., 23.10. Katowice: departure 6., 13.10., return 9., 16.10. Book directly via Wizz Air for the best price & hurry up, there are just few places left! There is plenty of cheap and quality accommodation in Belgrade. Find cheap accommodation with our hotel comparison tool. « Exotic Barbados in October for only €499!